I made this card for my sister-in-law's birthday. You will have seen the same stitched pattern on another card in a previous blog, titled 'Butterflies Galore'. I think it's a pretty pattern and may well use it again. I had hoped my sister-in-law would like it, unfortunately she did not receive it. 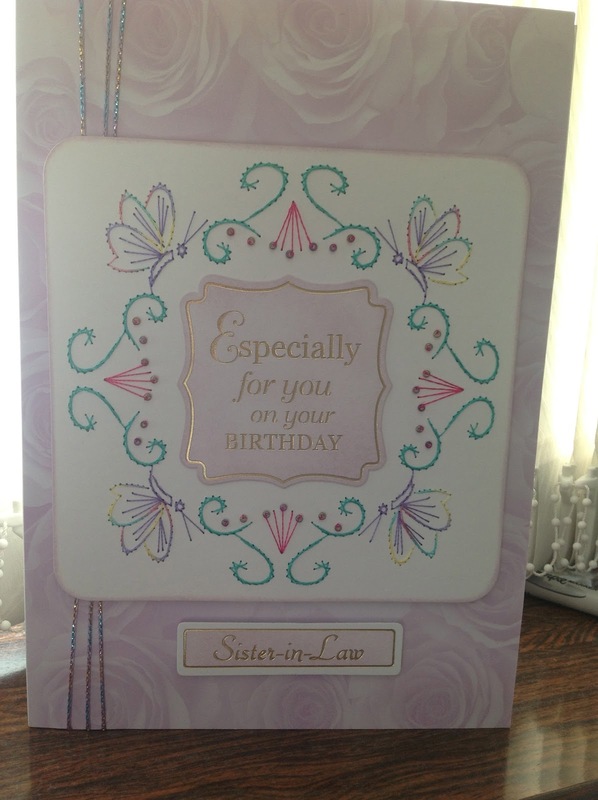 I posted it on a Thursday so it would arrive in time for her birthday the following Monday.....I think in future I may have to hand deliver my cards. I think I may have to make some cards without any stitched patterns on them........but I do enjoy punching out the pattern and then sewing it. 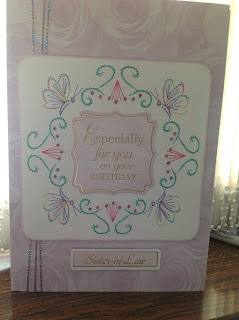 I blame my friend Janice, who introduced me to stitching cards, however, it is relaxing to do, so thank you Janice.